Deutsch-Baltische Handelskammer (AHK) welcomes Gettone Group OÜ as a full member! 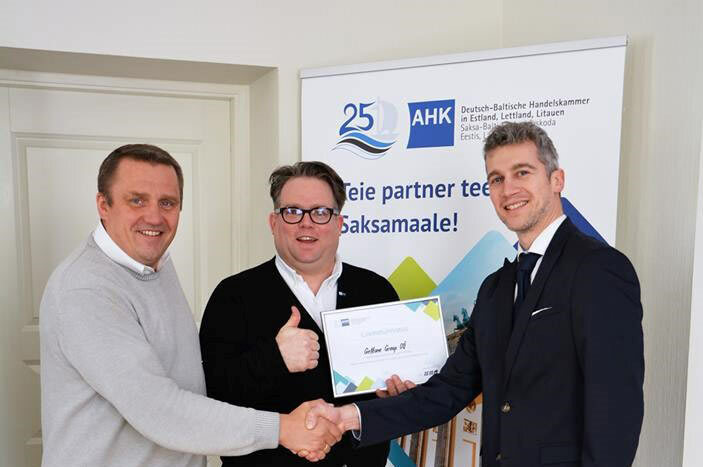 Gettone GroupNews Deutsch-Baltische Handelskammer (AHK) welcomes Gettone Group OÜ as a full member! “For many years we’ve carried out numerous successful interior outfitting projects for German shipbuilding industries like Meyer Werft, so we found it self-understandable in becoming a member of a German Industry and Commerce: we operate under the same regulations, procedures and business mentality- just like our German partners do”, commented Meelis Kiiler, Member of the Board. AHK has strong ties with IHK (Association of German Chambers of Industry and Commerce), both operate under the rules and public law of German Chamber of Commerce. Together they support German industries building and expanding economic trade ties with businesses abroad.